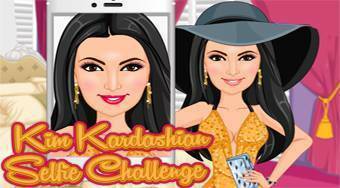 Do you like Kim Kardashian Selfie Challenge? Share it with your friends. Kim Kardashian Selfie Challenge - makeup and dress Kim Kardashian for her selfie as a proud mother.